Of the developed world, Australia boasts the rather poor statistic of having some of the worst internet speeds. This is in comparison to the Asia’s and Americas, as clearly seen in many broadband indexes by country. This is something that has been debated and discussed in the Government, and by the public, for over a decade since the internet began to become integrated into society (see our previous article for more details). 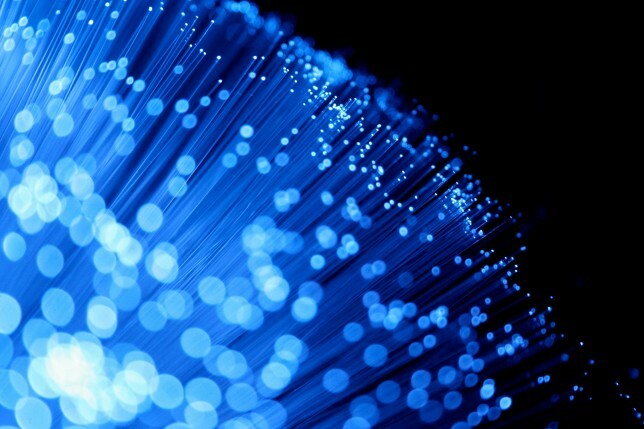 Fibre Optic cable makes up the majority of the proposed National Broadband Network. Why is our internet so BAD? In Australia, we are blessed with a democracy and a first world nation. However, our population to landmass is far less than most other places with higher population per square kilometre. Other countries often have support from surrounding countries. Australia, being a single island nation, has none of that. There are a multitude of other issues surrounding the atrocious broadband speed that Australia has to offer. This includes using outdated copper wiring for the telephony network (of which broadband relies on) the plans for a national network across Australia was first proposed in 2003. Telstra’s plans to help fix the issue. In 2005, Telstra decided to do their own upgrades to their system. However, it was put on hold by the ACCC (Australian Competition and Consumer Commission). The ACCC did not allow an exemption for third party access to the networks. Since then, the NBN, or national broadband network, has been a subject of much political debate. Both major parties have promised to bring it to the country, yet it wasn’t until 2010 that the bill was passed through the senate. The NBN is finally on its way. What does the NBN mean for Webtron? It means that more customers can access the internet in areas that were once thought to be ‘black zones’ or ‘dead zones.’ Dead zones are areas typically known to have little to no mobile or internet connectivity. It also means increased speed and more opportunity for rich interactive online engagement such as video and applications running from websites. This is good news… right? However, the response to the NBN has been a mixed one. While a global broadband service is desperately needed, one right on the back of proposed censorship laws and it being owned by the government has raised many concerns. And although NBN Co had to sign the ‘freedom of information’ agreement before the legislation could be approved, skeptics still believe that this network could be taken advantage of and censored. As of the 17th of December 2014, Telstra has sold 11 billion dollars worth of their old copper network to NBN.co, This has been met with mixed response – some happy about the deal, as it will increase the speed of the NBN rollout, but others unhappy, as the old copper network will remain in place. Fears that a hybird product will be slower than what was originally proposed. 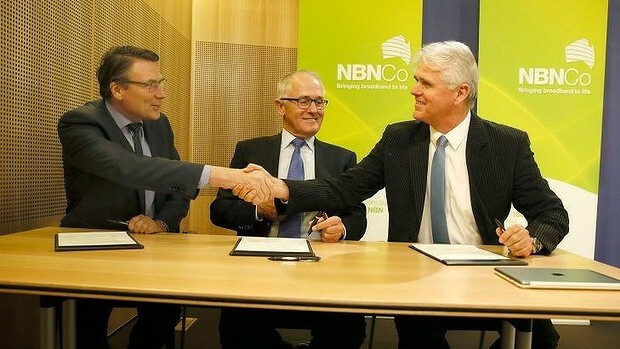 Telstra signs the new deal with NBN. Despite concerns, over 100,000 people have since joined the NBN and have reported positive feedback. As the saying goes, so far so good! And when is the NBN going to reach you? Find out here!